If you are interested in the MGG program or would like to join our team, please contact our program coordinator. We’d love to hear from you! 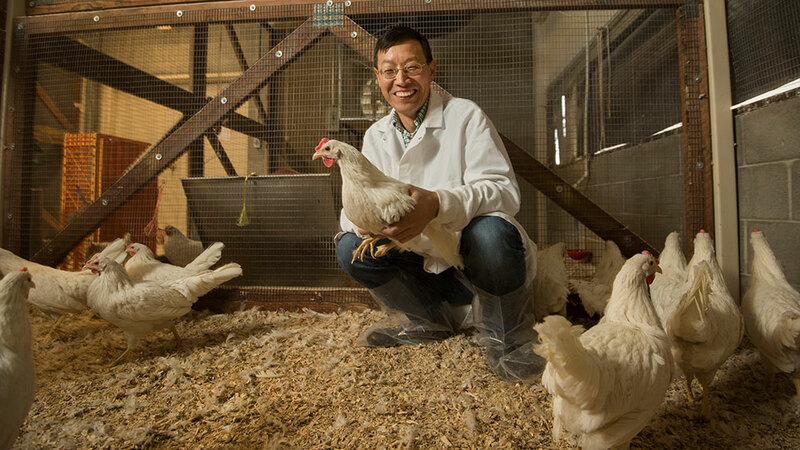 The Zhou lab in the Animal Sciences Department studies host-pathogen interactions in chickens. The photo was taken by Gregory Urquiaga (UC Davis photographer).